The name Air Asia is one of the most successful Malaysian grown global brands today. 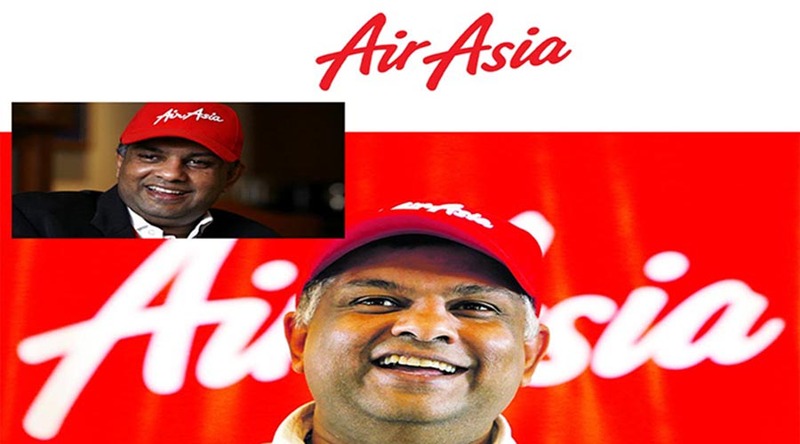 The establishment of Air Asia has changed the tourism industry not only within Malaysia but throughout the world and this can be fully attributed to the philosophy and hard work of Tan Sri Anthony Francis Fernandes who is fondly known as Tony Fernandes. Today, Tony’s name rings across the world for being one the most charismatic corporate leaders for his unique and youthful style of managing the fastest award winning airlines in the world. Tony is the founder of Tune Air Sdn Bhd where he formed the first ‘no-frills’ budget airline that offered cheaper air fare through the Air Asia airlines. AirAsia was originally a failed airline managed by a government-linked company. When Tony took over the company, he not only managed to keep it afloat, he managed to successfully turn it around to become one of the most successful companies today. Tony comes from Kuala Lumpur where he studied at the Epsom College and then on to the London School of Economics where he came under the wings of Sir Richard Branson’s Virgin group. He then returned to Malaysia where he then became the Managing Director of Warner Music, the youngest man ever to do so. He would then move on to form Air Asia and the rest they say is history. Today, Tony is often heard and seen in the media where he is known for his charismatic and very enthusiastic speeches. This is because Tony is known for his youthfulness and experience when he was in the entertainment industry. As an entrepreneur, he has transferred the Air Asia model into his other business that include Tune Hotels while he is also the team principal of the Caterham F1 team while he also bought over the Queens Park Rangers football club.